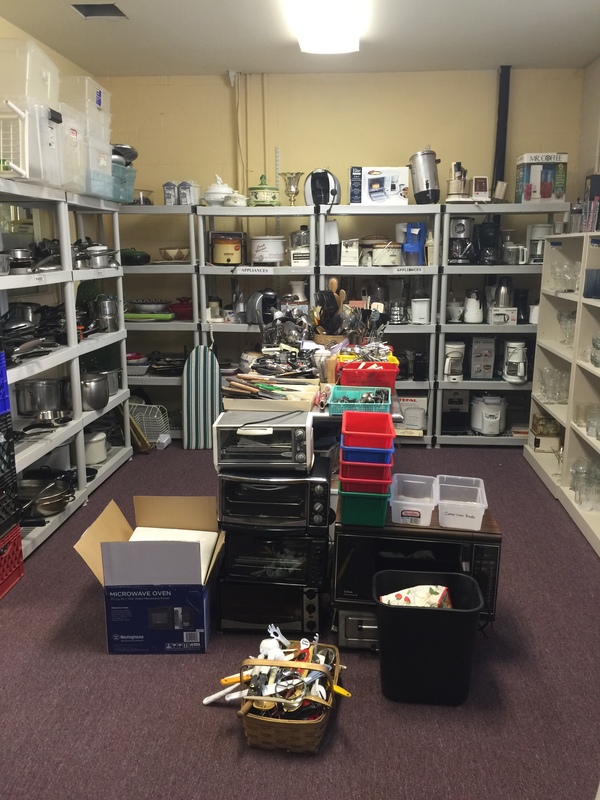 We furnish 20 apartments each week and are always in need of items for a small apartment. Donations can be brought to us each Sunday Noon-2:30PM except holiday weekends. No appointment is needed but please check the list below for items we take and those we reject. We can open more hours with more volunteers. Teams of two are best and you can choose your hours. We are assisting clients on Sunday from 9AM-Noon and can not accept donations during those hours. We are not offering pickup service at this time. •	Holte and Associates (Ray Holte) (908-247-9589). The above companies have access to the building and can pickup anytime. They are independant companies that set their own prices, schedules and procedures. Others must bring items when we are open. º Baby items and Clothes (Must conform to the current safety standards) º Drop Side cribs or car seats. •	outside of New Jersey, visit	http://www.furniturebanks.org/ to find a furniture bank near you. •	in any of the Oranges (and Newark, Irvington, Hillside), call East Orange Community Development 973-266-5315. •	in Mercer County(Princeton), call Home Front. 609-989-9417 or www.homefrontnj.org. •	in Monmouth County, call Love, Inc 732-222-1923. •	in the eastern part of Route 46 (Paterson, Jersey City, Bayonne, Teaneck, Fort Lee), call Fr English Community Center 973-881-0127. •	in Morris County, call Interfaith Furniture 973-477-1262 or (www.interfaithfurnishings.org). •	in Morristown, Madison or Dover, call The Re-Start Ministries 973-610-2325 www.recyclingministry.org. •	in the Trenton area, call The Rescue Mission of Trenton 609-695-1436 or (www.rescuemissionoftrenton.org). •	construction supplies, call Habitat for Humanity http://www.habitat.org/ (click "find a re-store"). •	Medical Supplies including hospital beds, call Pluckemin Medical Mission 908-396-6057.